After travelling all over the world—from South America to Asia and Polynesia—I can honestly say I have never been to any land where I didn’t meet at least one person who had heard of the town. I first realised this when I was in Borneo. I was deep in the heart of the rainforest, on the mighty Rajang river, meeting with a tribal elder to discuss the possibility of dancing the Ngajat with his daughter. He asked me where I was from and when I told him Aberystwyth his face lit up, he glanced up at the Heavens in disbelief. ‘So it really exists, then? We thought it was a make-believe place, told of old in our legends, like Troy, Nineveh and Timbuktu. A fabulous town’. 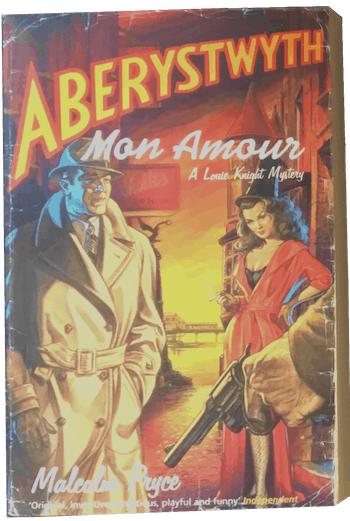 And so I did.There are six novels in the Aberystwyth Noir series, and one in the Jack Wenlock series, with a second currently in the hands of the midwife. If you click on the link below it will take you to my page at Bloomsbury, where you can read extracts, or even stump up some moolah and buy a book. Put it on the mantelpiece to keep the vicar away. 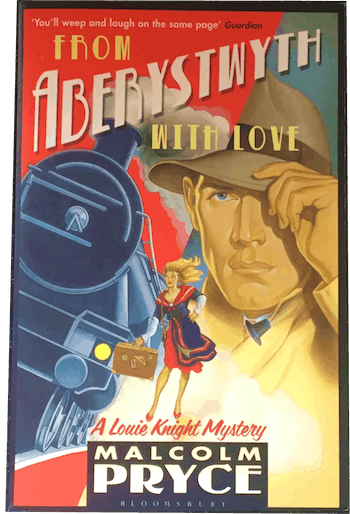 Anyone who loves steam trains, detective thrillers and P. G. Wodehouse will feel distinctly at home. Babylon, Shangri-La, Xanadu…all these great cities have one thing in common: They are difficult to get to. 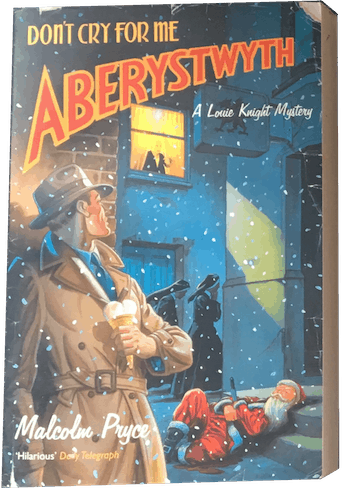 Aberystwyth, by contrast, is just around the corner. 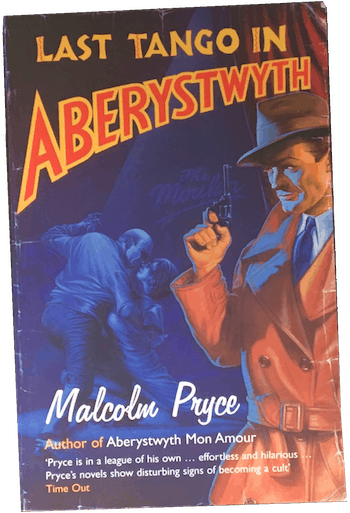 Why not sample the delights of this beautiful and oh, so iconic seaside town in the company of Malcolm Pryce, author of the acclaimed Aberystwyth Noir detective books? 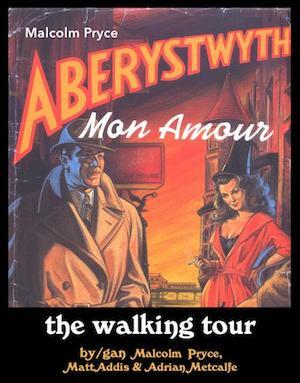 Aberystwyth Mon Amour – The Walking Tour takes about an hour, but the memory will last a lifetime. 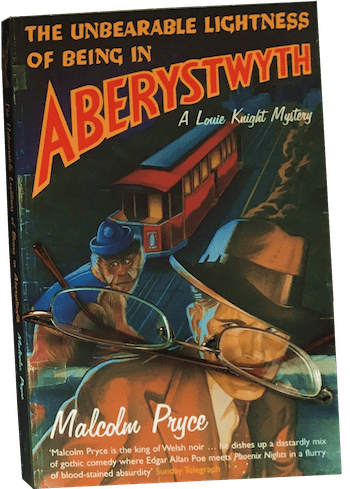 It takes you from the railway station to the harbour in the company of Louie Knight – Aberystwyth’s only private eye – and a host of favorite characters from the books, including Sospan, Cadwaladr, and even a walk-on part by…God! 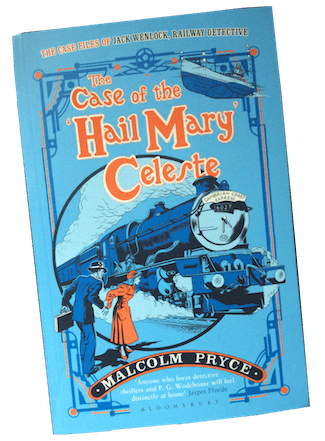 Learn the secrets of the prom, the cliff railway, the bandstand, the pier, the castle, and other key landmarks of the town. For both lovers of the novels and those who have never heard of the town (if such a thing is possible), the tour is packed with information, background anecdotes, and suggestions….and all beautifully intertwined with wry and bittersweet disquisitions on love, death, and crazy golf taken from the books. Click on the link to take you to Audible, but don’t even think of taking the free trial – just stump up some moolah, it won’t kill you. 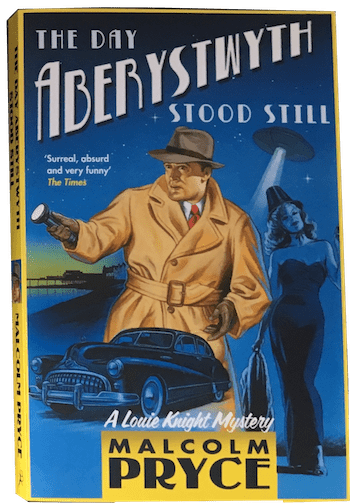 Why are there no more Aberystwyth novels?